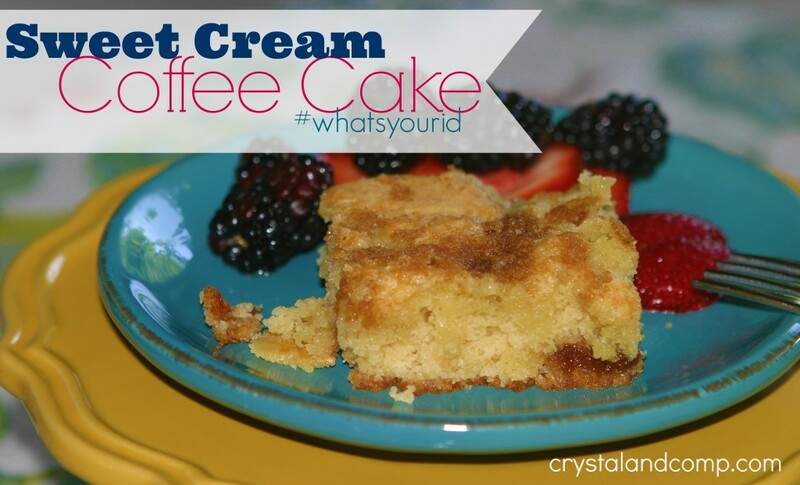 Our family loves, loves, loves coffee cake. We do. There is a local coffee chain that has some tasty stuff and our Target bakery makes some yummy coffee cake muffins. Until recently I have never tried to make it myself. It just sounds so fancy, but really it is one of those real easy recipes that any of us can make AND it requires very simple ingredients. I did make a small revision to the recipe. 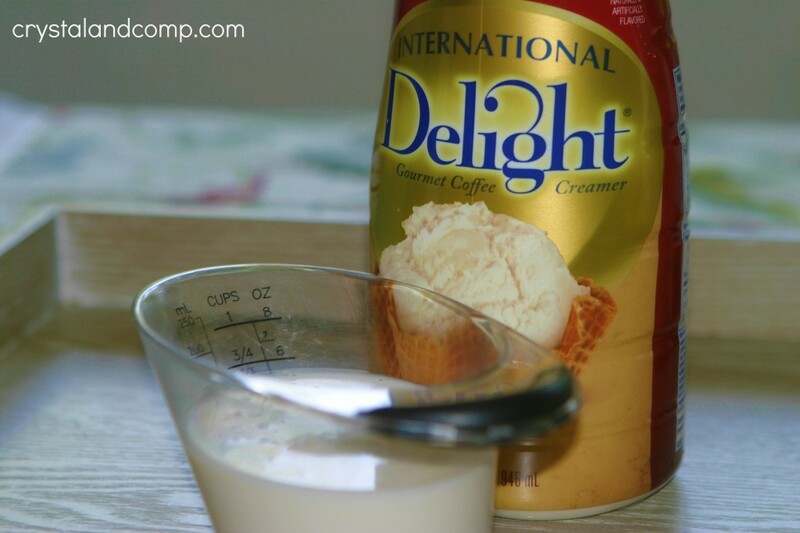 I replaced the milk for International Delights Sweet Cream Coffee Cream just to play with it and see how much more flavor and sweetness it would add. I love Cold Stone’s Sweet Cream ice cream, so there is no way we could go wrong with this. My little Luke (7) helped me make it. He is probably our biggest coffee cake fan. He was amazed we could make it at home. Let me just say this, everyone in our house devoured at least one piece of this cake. My husband had three pieces, but he will tell you he shared each of them with one of the kids. They don’t agree so much. Ready for this amazing recipe? Gather all of your ingredients for the cake portion. Add all of the dry ingredients into a bowl. 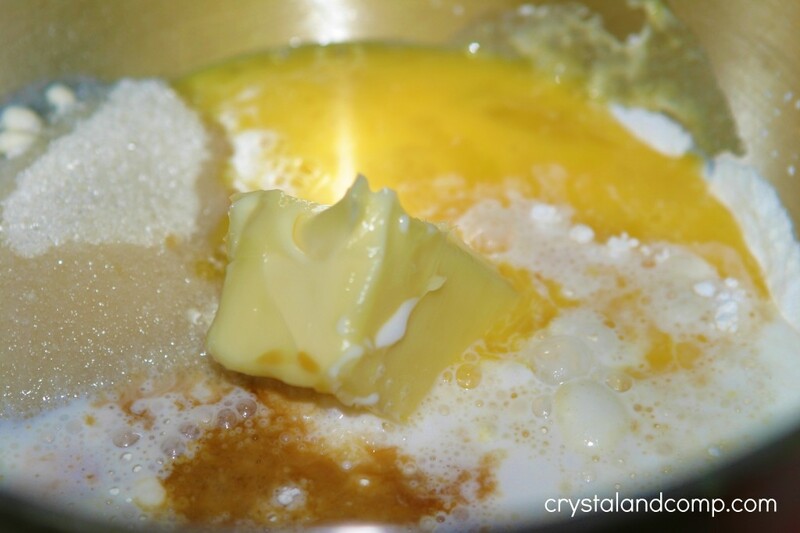 Add the wet ingredients to the bowl, like the yummy Sweet Cream coffee creamer. Mix on a low speed to get everything combined. 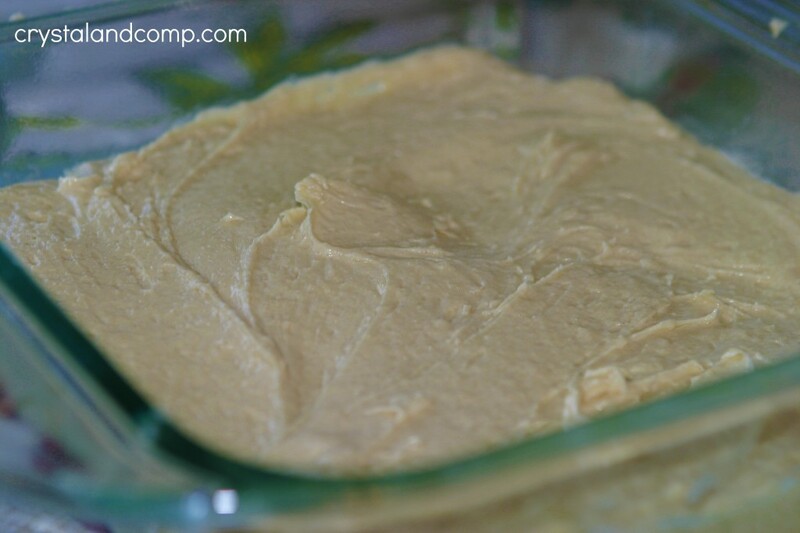 Bump it up to a medium speed for about 1 minute or so ensuring everything is creamy and mixed. 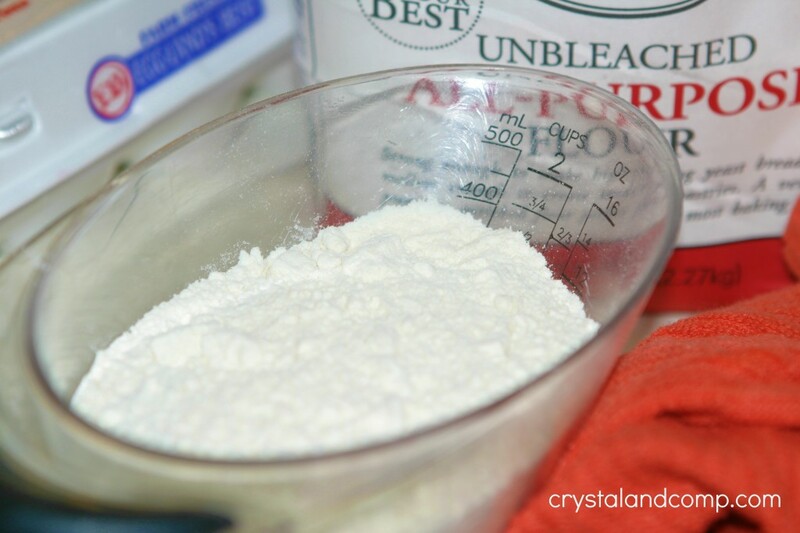 Pour the thick batter into a greased 8×8 or 9×9 pan. 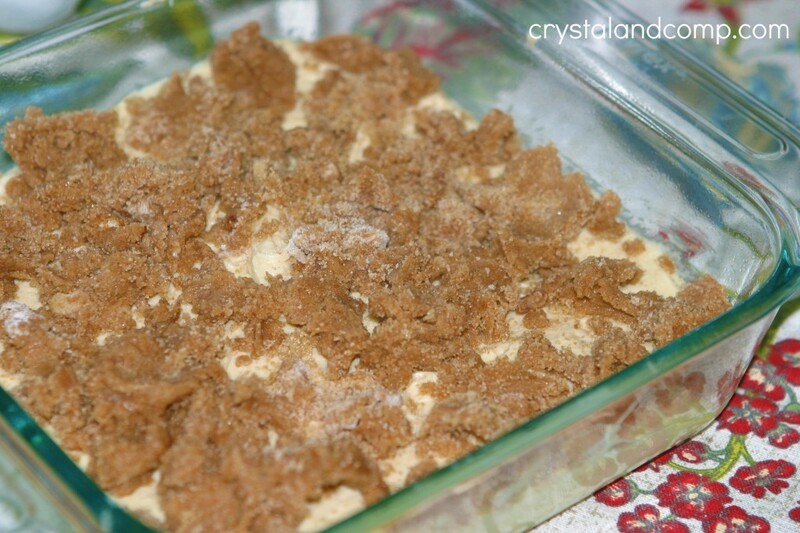 In another small bowl combine the ingredients for the topping. 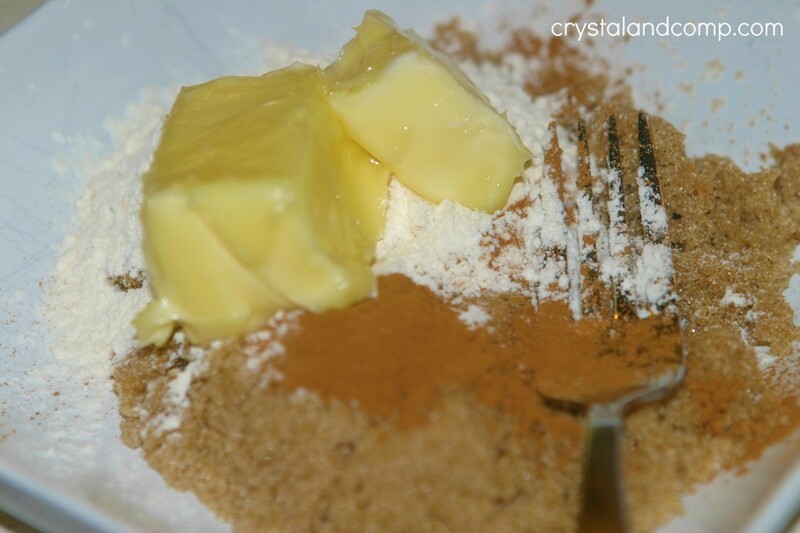 Use a fork or a pastry blender to smash and combine the room temperature butter with the sugar, cinnamon and flour. Sprinkle that topping over the top of the cake batter. Pop it in a 375 degree oven. I cooked mine for about 32 minutes because it was thicker being in the 8×8. You could likely cook it for 25-27 minutes in a 9×9. Once it is done cooking it was a tad bit gooey in the middle when I inserted a knife, but I was ok with that. I knew as it started to cool it would become more solid, which is exactly what happened. Let it cool for at least 10 minutes or so before you cut into it. Slice it up. I got 9 very nice sized slices from one cake. 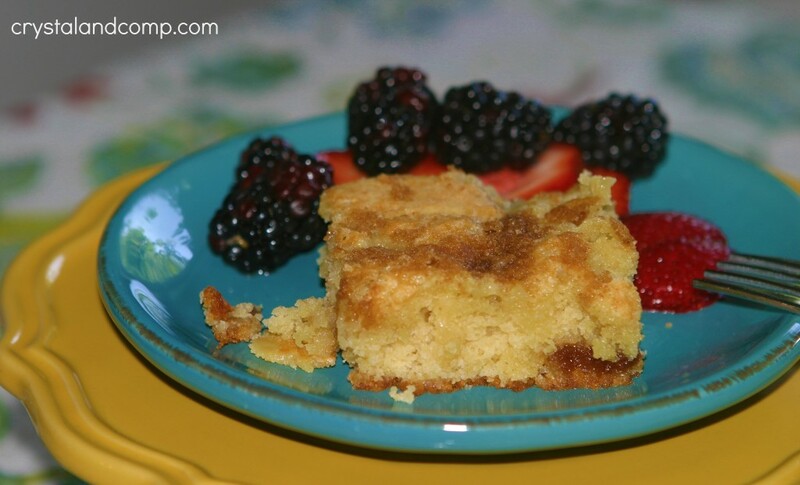 We had it for breakfast and served it with fresh strawberry slices and blackberries. It looks really delicious! I imagine the flavor of the coffee creamer really does give it that extra flavor to make it a hit. Thanks for sharing the recipe.